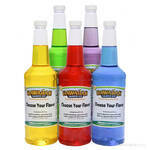 Enjoy our top five most popular shaved ice/snow cone flavors in one convenient package. 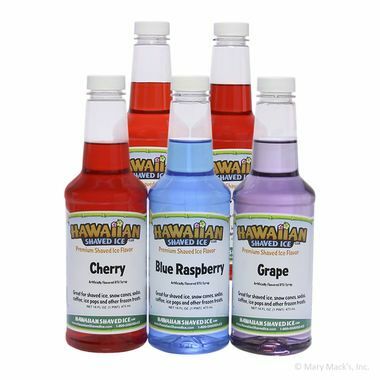 The winning selection of flavored syrups includes Cherry, Blue Raspberry, Grape, Tiger�s Blood, and Strawberry. 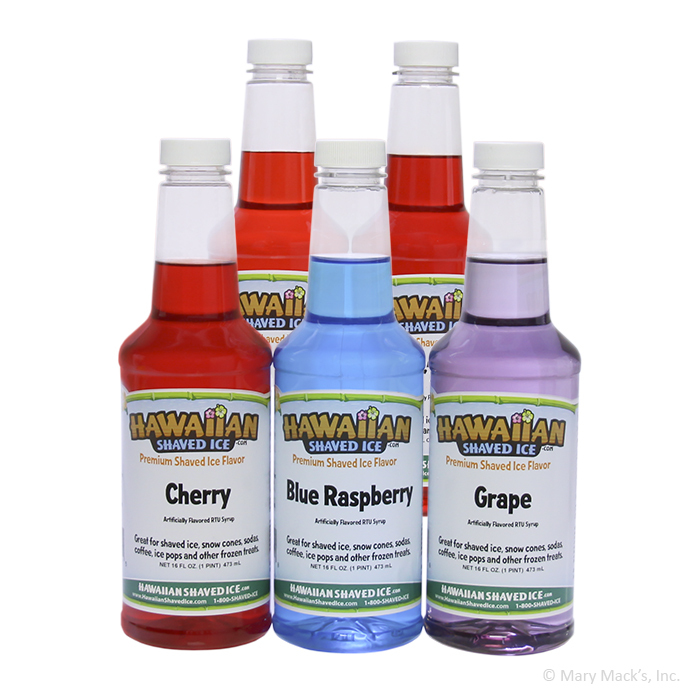 If you're looking for a way to satisfy a crowd, this variety of classic fruity flavors will certainly fit the bill. 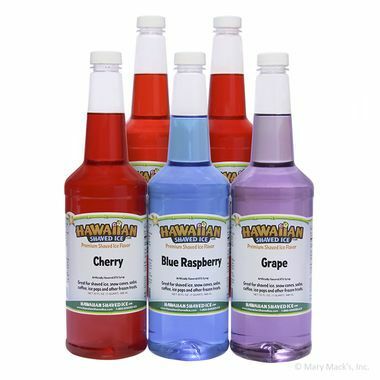 By ordering in flavor packs instead of individually, you can stock up on your favorite shaved ice syrups, and save a little money too! Bring the county fair experience home with authentic and delicious shaved ice syrups, sure to add a cool and refreshing flavor to your party or family gathering. 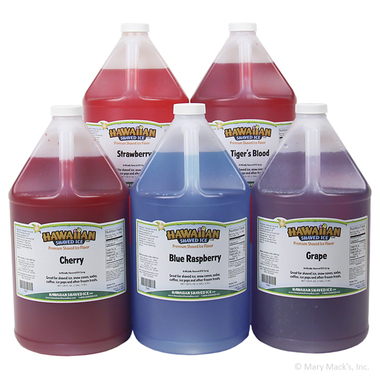 As an added convenience, you can order these preferred picks in pint, quart, or even gallon-sized containers. 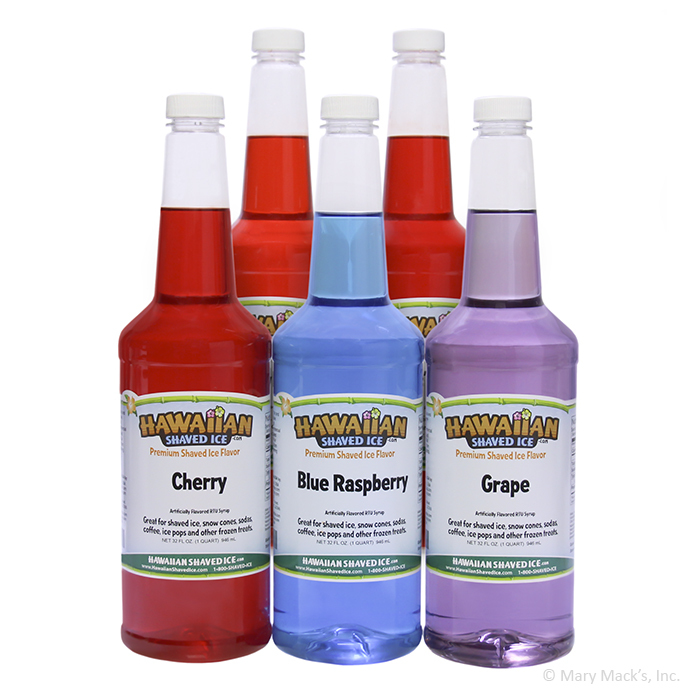 Hawaiian Shaved Ice wants to help you add an element of surprise to your refreshment table, or just as a fun addition to the kitchen. Wake up your senses with just a little bit of ice and a lot of flavor!